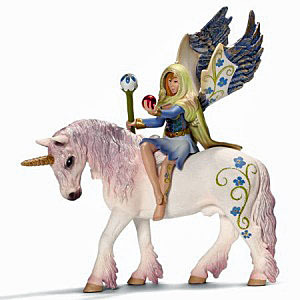 Schleich 70476 - Bilara is able to make herself invisible for a while. Mysterious Bilara traverses Bayala on her flower-bedecked unicorn. She knows infinite charms and every time she is needed, she appears to heal wounded animals or ill elves. There was a time when elves feared the enchantress, yet this was a long time ago and now everybody is happy when they cross Bilara’s way.